To ensure favorable indoor quality air and comfort, the ductwork for your HVAC unit should be regularly serviced. This servicing includes the removal of dust, dirt and debris that build up in the ducts over time. Allowing the buildup to remain is likely giving your air conditioner permission to malfunction. If allowed to continue, this malfunctioning leads to system breakdown, poor indoor air quality and inefficient operation. The result of this condition is expensive parts replacement and high energy bills. We can help you maintain a smooth-running unit. Although there are some levels of do-it-yourself (DIY) air conditioning maintenance that you can attempt successfully, duct cleaning Eugene Oregon is not one of them. Ordinarily, it is a complicated process that requires professional technicians. Ductwork location is not easily accessible. Technicians’ training and state-of-the-art tools have equipped them to handle the air duct cleaning Eugene Oregon HVAC systems deserve. To remove the clogged dirt and trapped debris, special brushes are designed to loosen them. Following this process, a high-powered vacuuming should be done. 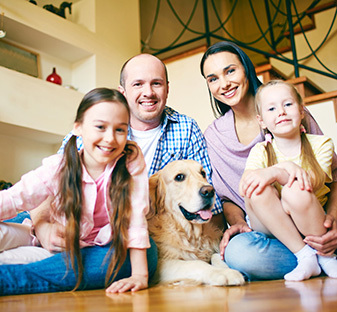 This process is extremely important because, oftentimes, rodents, insects, bacteria and airborne allergens like pollen also make their home in the air ducts. They should be dislodged and the ductwork professionally cleaned. Otherwise, the critters can cause infestation, the bacteria can spread respiratory-causing diseases and the allergens can cause seasonal allergies. This means that dirty air ducts are a health hazard. The age of your home does not matter. As long as you are running an HVAC system, the air ducts continually collect air pollutants, contaminants and particulate matters. Therefore, they should be cleaned periodically. Their accumulation is bad news for your health and your family’s because when the inside air flow is affected, it dictates what you breathe in. 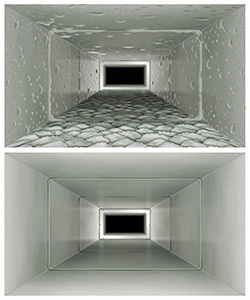 As experts in the air conditioning business, we specialize in duct cleaning Eugene Oregon and all surrounding areas.